Colorado has led the most recent movement for progressive cannabis reform and has brought cannabis culture into mainstream discussion. While the city of Denver receives much of the attention surrounding marijuana in the state, Boulder marijuana jobs are beginning to assert themselves with more prevalence. A burgeoning recreational sales industry is bringing in tourists and solidifying the city as one of the best places for stoners to live. A high concentration of Boulder marijuana jobs are found in cannabis dispensaries. Dispensary jobs run the gamut from entry level positions to advanced management and ownership opportunities, much like other retail businesses. Budtenders are customer service workers who use their knowledge and love of cannabis to assist a wide variety of customers with finding cannabis flower, concentrates and more to purchase. Especially in medical marijuana dispensaries, budtenders must be in-the-know about the medicinal efficacy of certain strains and products. Boulder marijuana jobs in budtending are very competitive. With so many interested individuals looking to transition into marijuana jobs, this kush entry level position has overwhelmed hiring managers with job applicants. Budtenders make standard wages when it comes to service industry work, rarely earning more than $13 per hour (sans tips). While the pay may not be impressive, budtenders know that their job is a great first move in their cannabis career. Working as a budtender helps to create connections through networking with farms and processors and cannabis enthusiasts. Budtenders also get a nifty discount of cannabis products, which is enough to convince many people across the country to quit their gig and pursue Boulder marijuana jobs. Dispensary receptionists greet customers, enter their identification into online databases and organize the flow of customers entering the storeroom. On any given day, marijuana dispensary receptionist jobs involve performing administrative tasks like record keeping, as well as updating social media and performing basic marketing and Search Engine Optimization duties. Receptionists communicate with customers and business partners in person, over the phone and across a variety of platforms, including email, Leafly, Facebook and more. Working as a dispensary receptionists is perhaps one of the most entry level Boulder marijuana jobs, as employers don’t always require receptionists to have cannabis work experience. Having a background working with weed is always going to help an application, but most receptionists are hired for their interest in the product, knowledge of state regulations and ability to perform service and office work based tasks. Like budtenders, receptionists areaid modestly, though opportunities for receptionists to crossover to working as budtenders is highly likely. Dispensary managers facilitate the sop’s daily operations. They are Jacks of all trades, responsible for taking inventory and ordering, interacting with customers and engaging in customer concerns. In addition, dispensary managers hire and train employees, create employee work schedules, sell products, fill in for missing employees and anything else their requires their leadership or supervisory skills. Unlike the two former positions, dispensary management jobs usually compensate well, reflecting the amount of responsibility these employees take on. Colorado may not have the ideal climate for outdoor grow operations, but Boulder marijuana jobs in growing do exist within the city indoors. Practically everyone wants to be a cannabis grower, but it takes a detail-oriented, experienced hand to cultivate a successful crop. Growers do everything from germination to harvest, maintaining and bolstering the crop as it grows. Bud trimming serves as an excellent opportunity for stoners to work well paying entry level Boulder marijuana jobs, without participating in customer service. Trimmers hand process raw, harvested marijuana flower, removing the larger fan leaves and snipping smaller sugar leaves from the jewel-like smorgasbord of the marijuana flower. Although sugar leaves contain THC, it’s vastly less than the buds and tastes much more harsh. Trimmers sit or stand for hours at a time, consistently manicuring pounds of flower that looks picture perfect. In addition to taste and cannabinoid concentration, trimming also satisfies the aesthetic value customers expect when perusing through all the different strains at dispensaries. The primary reason bud trimming can be a well paying job is because workers are often compensated by the weight of flower they trim over a period of time. That’s why average “hourly” wages for trimmers can be as little as $12-15, or up to $20 and beyond! Creating concentrates out of raw cannabis flower is quickly becoming one of the most well-paying, in demand jobs in the industry. Concentrate extraction technicians apply industrial solvents, heat and pressure to cannabis plant matter. This process strips away the necessary compounds from the unnecessary chlorophyll and fats. Concentrates can be produced with many different textures and shapes, including shatter, wax and crumble. For the most part, the differences between concentrates are based on preference and desired method of consumption. Purity also plays a part in the color and texture of the substance as well. Concentrate extraction technicians are compensated well, since the job demands certain credentials. First off, extraction techs should be familiar with working in a lab atmosphere and be confident in following safety procedures. Many employees in these Boulder marijuana jobs have degrees in chemistry or associated sciences. Another use for cannabis concentrates is in creating edibles. Edibles are exactly what they sound like: edible (and drinkable) treats infused with cannabis. Historically, the creation of edibles resulted in a pan of boxed brownies, cookies and firecrackers. The edibles coming from commercial kitchens and sold in dispensaries are night and day from the edibles of the past. One major difference in cooking edibles today is that large scale operations have generally moved over from using traditional cannabutter/oil methods in favor of using concentrates. Cannabutter is the process of taking cannabis plant matter, decarboxylating it and letting it cook in butter, oil and water for a few hours, before straining the substance and allowing to cool. Cannabutter is a perfectly acceptable way to make edibles, but the taste of plant matter is usually much more prevalent than in edibles made with concentrates. For this very reason, some kitchens have chosen to continue using cannabutter in order to keep the cannabis taste in the forefront. Working as an edibles creator or chef is ideal for individuals who are passionate about the culinary arts, cannabis and the intersection between the two. The head chefs or bakers of commercial edibles operations are experienced culinary artists who have experience managing a kitchen as a supervisor or chef. Some edibles creators attended culinary school programs, resulting in a degree or certificate. It is becoming evermore clear that marijuana consulting jobs are essential to the continued progress of the legal cannabis industry. Grow operations needs consultants to guide them through licensing and opening a garden, dispensaries need them to help with accounting and business training. These are only a couple examples of the many services cannabis consulting firms are offering clients. Take a look at any marijuana legalization/operation document and you’ll likely scratch your head a time or two. Starting a business is confusing enough, not to mention having to decipher every compliance measure involved in the cannabusiness. Consultants help save businesses time and get going quicker. Accountants, bookkeepers and other financial consultants are in especially high demand since the complicated tax structure and cash-only nature of dispensaries can be hard for just one or two individuals to manage. Colorado’s cannabis tourism industry is drawing in stoners from around the world. Tourism companies are profiting from arranging tour packages that give an inside look into different sectors of the legal cannabusiness. Grow operations, commercial edibles kitchens and dispensaries allow cannabis tour guides to bring travelers into their establishment. This business partnership mutually benefits, incentivizing tourists to buy products from dispensaries and allowing tour companies to profit from customer sign ups. Marijuana tour guides are outgoing cannabis lovers who know Boulder’s cannabis culture inside and out. Boulder marijuana jobs of this sort call for passionate potheads who have a desire to educate others. Working as a tour guide can be a lucrative job, especially if it involves tips. 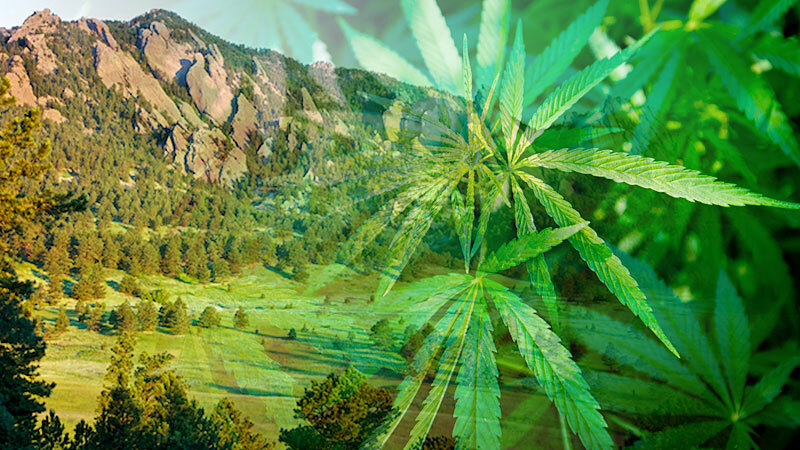 Even before recreational legalization was passed into law in 2014, Boulder drew folks from around the world thanks to natural wonders galore and a thriving arts and sports culture. Now that cannabis has found a place in the city, more Boulder marijuana jobs are appearing to satisfy consumer interest.